The school year is in full swing, and for many kids (not to mention parents and teachers) the daily grind can start to take a toll. That’s why it is important for everyone to make time for fun, exercise, and relaxation. This is especially important for kids. And that is why After School Skating is the perfect North Tonawanda after-school activity! 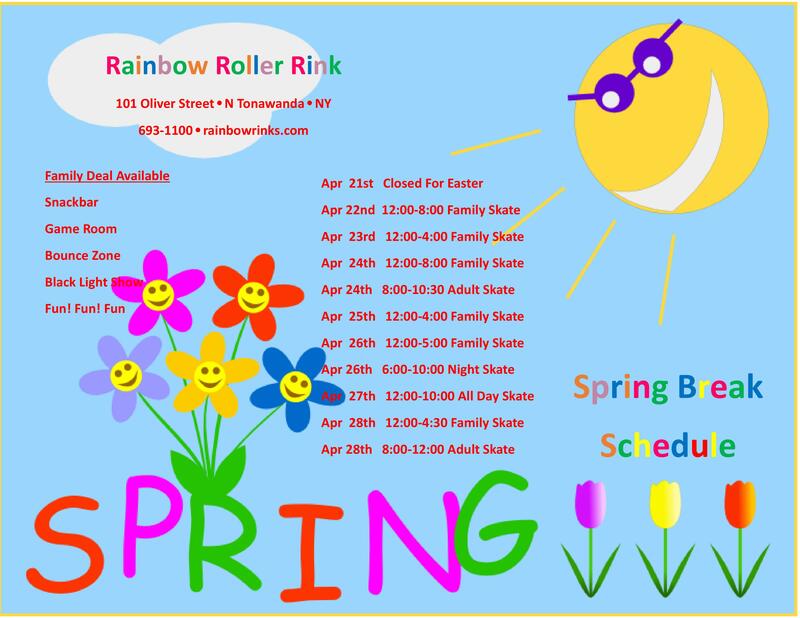 Rainbow Roller Rink is a great place to come for after-school fun in North Tonawanda. Kids can blow off steam skating or by visiting our Bounce Zone! Our Bounce Zone has lots of amazing bouncers, mazes, slides, and an obstacle course for kids to work off a little extra energy. Exercise is a great stress-reliever, and skating is great exercise! 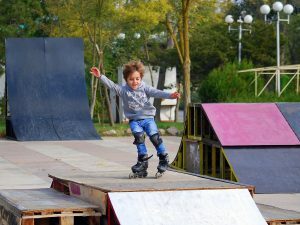 Skating can easily get your heart rate up over 140 beats per minute. That means skating for an hour will burn up to 600 calories! 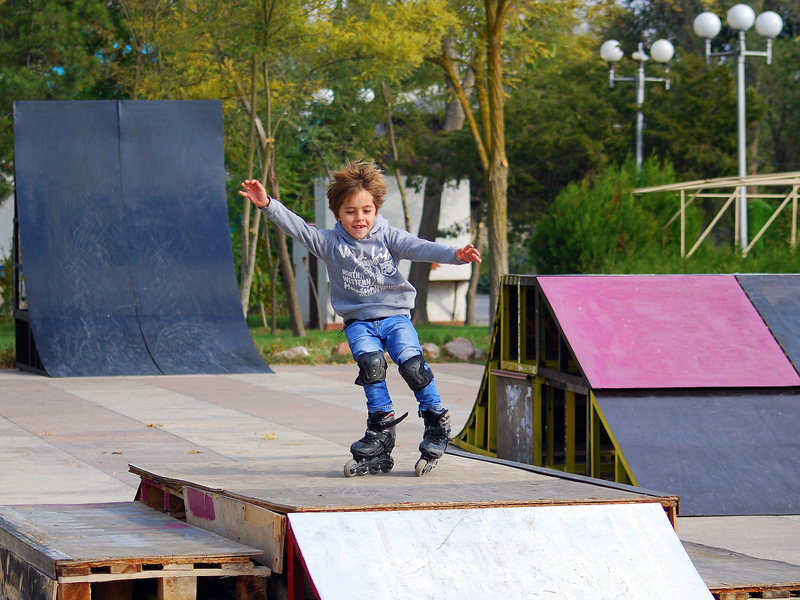 Science also shows that skating increases your endorphins, which improves mood. Regular exercise also increases self-confidence and can help combat anxiety and depression. Taken together, all this means that regular after-school exercise can help children (and adults) gain a better sense of self, and puts you in better control of your emotions. In addition to skating (or bouncing) off some pent-up energy, kids can also socialize and play some games while earning tickets in our Game Zone! So make time for active fun with your child. From after school playdates to family fun nights at Rainbow Roller Rink, we can help to reduce stress and improve self-confidence for your kids!